I'm thinking about starting a new series around here called "Moodboard Monday" where I'll share a moodboard for a space with links for all the items included. I love creating mood boards and I love finding pretty things that are affordable. So I'll combine my love for both of those things and share them with you! I can't guarantee one every Monday but I'm going to shoot for at least twice a month. 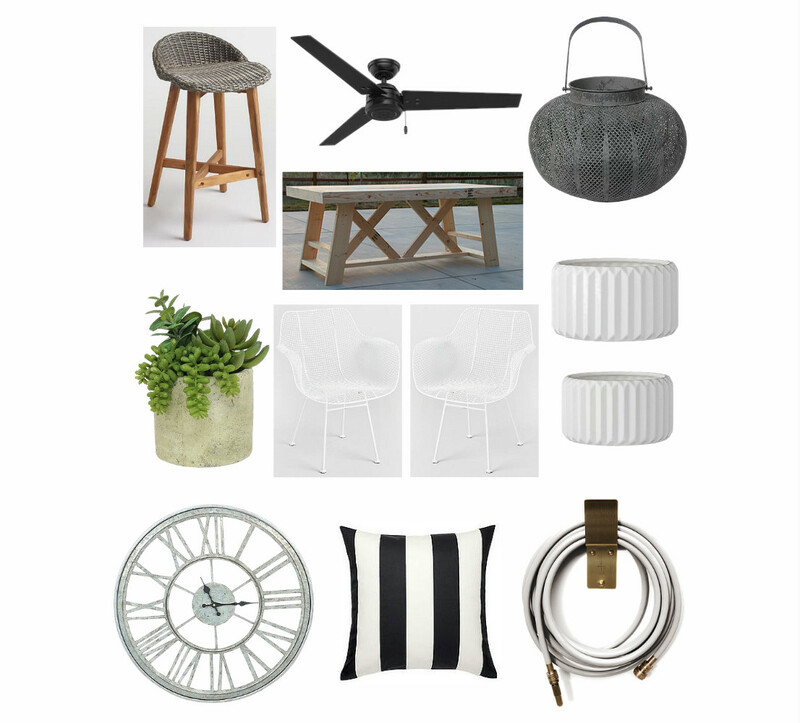 We have plans to add a covered porch to the back of our house this spring so I have outdoor spaces on the brain. As much as I would love to tackle something like this myself, it's way outside my realm of DIY abilities. So we will be leaving it to the professionals and I'll focus on the fun part of decorating and accessorizing. I whipped up a little moldboard to show you the direction we are heading. We will mostly be using the furniture we already have and throwing in a few new pieces here and there. We already have two vintage metal chairs like the white ones above. But those are a steal and look so much like the vintage ones, it's crazy! I'm going to attempt to build the DIY outdoor table with my very limited woodworking skills, so I'll keep you posted on how that goes. And then the rest will just be accessorizing and sprucing things up a bit. It will be a few months before we get started, but my wheels are already turning!